23 | August | 2010 | Watts Up With That? August 23, 2010 in Climate_change, Weather. 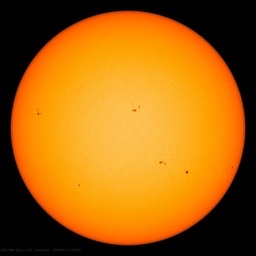 August 23, 2010 in Science, Solar. August 23, 2010 in hurricanes. August 23, 2010 in Climate data, FOI, Government idiocy. August 23, 2010 in Alarmism, Satire. People send me stuff. Sometimes the Google adwords at WUWT yield interesting things, like this plea to not abandon what has already been abandoned. From the National Resources Defense Council: Tell your senators not to abandon comprehensive climate and energy legislation. August 23, 2010 in Politics. Now up to 65mph, not far from Cat 1 Hurricane category winds. Seems almost sure to be a Hurricane soon. The good news is that the path seems away from the Gulf, and it will help transport some of that Atlantic SST/heat into the upper atmosphere. August 23, 2010 in Quote of the Week. August 23, 2010 in Paleoclimatology. August 23, 2010 in Book Review.